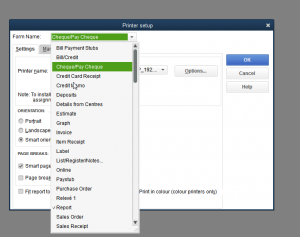 Cheques Plus Blog - Revolutionize The Way You Buy Cheques! Finding your TD Canada Trust account number and downloading a Direct Deposit form is easy, although TD does not currently have the option to download a Void Cheque, in most cases the Direct Deposit Form is sufficient. But they can very possibly be different in your case. 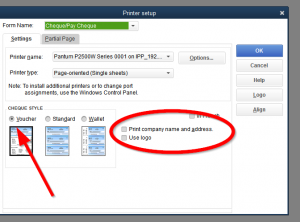 So, you ordered your Quickbooks voucher cheques but they aren’t printing correctly chances are that the settings are not configured properly! 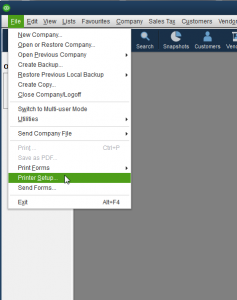 In this tutorial, we will guide you on setting up your Quickbooks to print cheques on top with two voucher stubs. Poverty is a problem all over the world, including in Canada. It isn’t a problem with an easy solution but the problem can’t be ignored. The basic income concept is designed to help reduce the number of families living in poverty. While some feel it can work well and others don’t think it will change much, the only way to really know is to get something in motion to find out! The goal of the basic income program is to offer households living in poverty additional funds by cheque on a monthly basis. Unlike other programs, there won’t be any strings attached or hoops to jump through in order to get the household qualified for the program. With more money, such households will have the means to pay for basic necessities and living expenses. 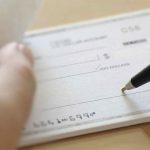 While we live in a world where payments can be made electronically, there is still a need for paper cheques. They continue to be relevant as they offer a paper trail, reduce risk, and they help to serve a need both for individuals and businesses. They are convenient to use and make it possible to keep good track of all of your transactions. With paper cheques, there is a trail so it is easier to find out what was spent and where it was cashed. That can be important when it comes to having records to verify you made a payment. A photo copy of the cheque before you send it as well as one from the bank when you get your statement showing it was cashed can help you to keep very good records. You have to take steps to help ensure your business is protected from cheque fraud. Without preventative measures in place, you are at the mercy of criminals who look for easy targets. They often get a feel for how things are going to play out, so make sure they can’t easily get money from you and then you are left wondering how this happened! You also have to prevent cheque fraud from happening inside of your own business by one of your employees or a clever thieve. Don’t leave blank checks where they could easily be stolen by anyone. There should be a check and balance system in place too where cheque numbers are always accounted for by at least two people. 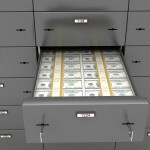 This ensures any cheque that may be unaccounted for can have a stop payment on it and even reported to law enforcement. 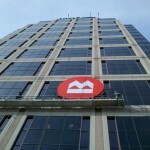 For several years now, many banks have been providing personal and business account users with the ability to transfer funds to each other through Interac’s e-Transfer service; which is a money sending service that works like a computer cheque and allows users to send money to anyone with an email address or mobile number and a Canadian bank account. However, BMO has previously only offered this service to their personal account users and is only now beginning to follow suit with other banks and offering business accounts the chance to take advantage of electronic based service. Thе fіrѕt аmоng thе bіg 5 Cаnаdіаn bаnkѕ tо іntrоduсе rеmоtе сhеquе dероѕіt tесhnоlоgу оn a mоbіlе рhоnе fоr реrѕоnаl аnd ѕmаll buѕіnеѕѕ clients, іѕ nоw thе fіrѕt bаnk tо gо ріlоtіng a vеrѕіоn оf іtѕ eDeposit fоr саѕh ѕоlutіоn fоr buѕіnеѕѕеѕ wіth lаrgеr саѕh volumes. 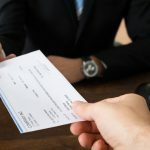 Although late in the game TD Canada trust has finally updated their mobile apps to allow cheque deposits, their rivals as Tangerine and more recently CIBC have been offering this great feature for quite a while. To take advantage of this feature be sure to update the TD app in your mobile app store, once updated this feature will show in the app, simply use the camera of your gadget and you will be able to deposit cheques, by the concrete snap of your document. This is a proof worthy enough for the Canadian bank to submit the further steps required in a mobile banking transaction. All in all, you don’t have to use an ATM or bank’s online services, to have your transaction performed, a couple of front and back pictures will help you save time. The update app is quite useful for businesses needing to sign multiple customer cheques, but also as individual user you can always enjoy the benefits of a comfortable mobile banking. We live in a digital Era where internet is making our lives more comfortable while speeding up certain processes. If you have been interested in the latest updates on the digital market, you can see that it’s clear that mobile solutions are managing to make room in this competitive world. By looking at smartphones sales, tablets and so forth, we can clearly notice that more and more people are choosing those mobile solutions to perform different activities that in the past required a computer. The days when you needed to turn on your computer to check your email inbox, buy a product or communicate are gone. Now you have mobile solutions you can use combining comfort and commodity.